From choosing the right tools to the right colors, we’ve got you covered! Our makeup lessons are individually customized based on our client’s needs. Every lesson is different based on your experience and level of comfort with using makeup. We design the lesson to build on a client’s existing knowledge and product collection and build off of that with new tips and tricks based on personal needs and lifestyle. We do not sell any makeup, but we do teach you how to use the makeup that you already have, because most products have multiple uses. We can make recommendations on what is missing out of your collection and where to find it. We test and use many brands ourselves, and are always on the hunt for the coolest new products to try. Our style is to enhance your best features and make you feel confident, not mask your face with tons of product. We teach everything from the basics of foundation for flawless skin, to creating the smokey eye that’s best for you, and everything in between. Style Hair and Makeup is your go-to beauty gurus. We want our clients to feel assured that they can recreate the look at home and feel like they look fresh and beautiful with a healthy looking glow. Whether you are looking for a subtle daytime look or a sultry evening glam, we can show you how to achieve it in our studio, and take those steps so you can incorporate them into your routine with ease. 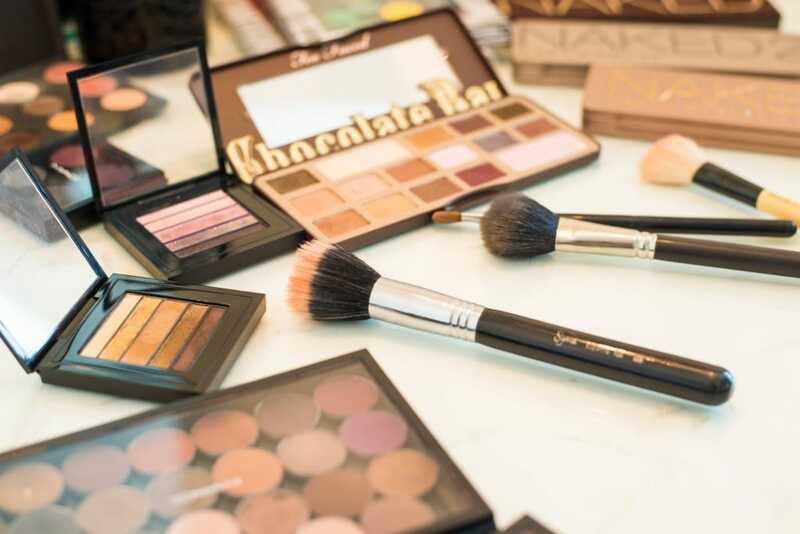 We know makeup can be intimidating, with Sephora and Ulta containing hundreds of thousands of products, but we are here to share our expertise and provide personal, hands-on attention and answer your beauty questions. Even after you get home from the lesson and a question pops up, just send us an email and we are here for you. We are also available for hair styling lessons. If you are looking to recreate a Pinterest-worthy style, we have the steps to break it down for you. Whether it’s beachy waves, Hollywood side-swept glam, or the perfect top-knot, we teach hands on how to create it, side by side, with you. From top trends to timeless beauty principles, from beginners to makeup junkies, from those new to makeup or at any age, we can create a customized lesson to meet all your beauty needs. We would love to meet you, get to know you, and have you in to our studio for a lesson with us. Have a beautiful day!